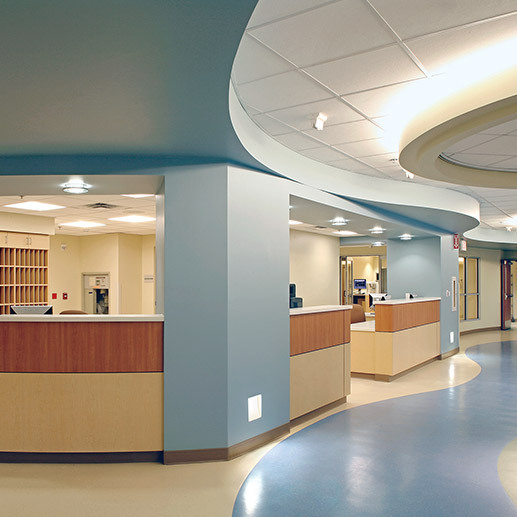 The significance of the nursing station hub is visually communicated with framing structures and lighting from above and below. Each of the formidable pillars have a square aperture “Hole in the Wall” fixture installed. The cast GRG (Glass Fiber Reinforced Gypsum) portion of the fixtures blends and becomes part of the wall, while the metal fixture insert is attached and hidden inside.